So here we are. It's February. I'll be honest with you: being an artist living with heart & hustle is one of the hardest things I've ever done. Don't get me wrong, it's not a surprise that it's hard. but THIS hard?! No way. I've been sending out emails for months now. We're talking hundreds of emails. Rehearsing songs daily. Writing almost daily. Recording at wee hours of the morning, still. It seems like I wake up every morning staring down the nose of my biggest musical and non-musical fears. Haha. I didn't intend to use a "D" there, but I'll just let autocorrect censor me. Meh. So I'm rolling with the punches. 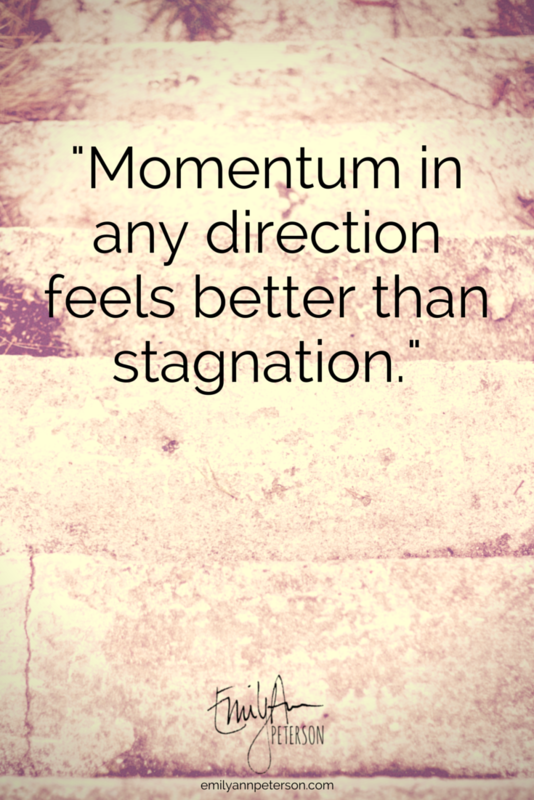 Momentum in any direction feels better than stagnation. - Tweet This. I'm considering other options. Like going to Texas sooner than November. Or maybe joining forces with a fellow songwriter. Delaying the release of my full-length album, again. & that's probably a good thing. Getting grounded by my own momentum only makes me more focused & determined. Why am I not just a heap of tears? It's because of encouragement from my friends and colleagues who've been at this longer than I have. They are the reason why I'm not slitting my wrists, trashing my songs, and totally giving up on music. You think I'm kidding. I am not. They've been at it a lot longer than I and they STILL have obstacles. Duh. But miraculously, they can see that it's still worth my sweat and all the tears late into the night. My chin is up, but my energy is just a bit dulled by it all.